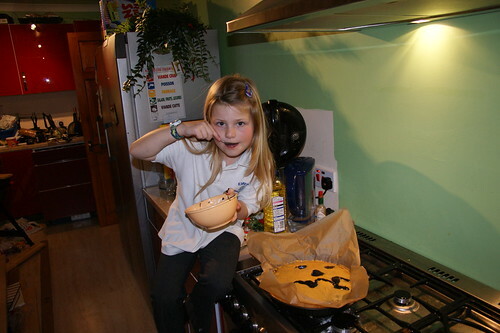 Halloween cake, a photo by PhylB on Flickr. Have a bat cake for me! I was looking at fault lines and tectonic plates with Léon on google the other night - his latest interest. I happened to mention something about Norway and he asked exactly which bit on the map Norway was. I pointed to it but because it was a satellite image there was no boundary with Sweden so he took both Norway and Sweden to be Norway. 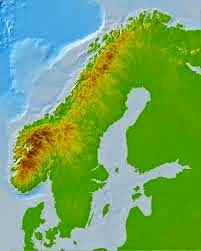 'Oh', he said, 'is Norway the country that looks likes an evil tyrannosaurus eating up Denmark?' Suddenly the scene in Jurassic park where the wee guy is eaten on the toilet seat sprang to mind! Marcel showed me this the other day. How can you do that with your body? Marcel was just predicting words that in the future would change spelling because of young people misspelling them currently, citing aswell and alot as two words many kids think are two words, not four. It reminded me about the blog I read about the 'alot' about a year ago. I thought I'd link to it here so I could have a laugh next time I feel I need one! Maybe I've spent too many years working with grammar, or too many living with a linguist or both, but these drawings leave me crying with laughter! 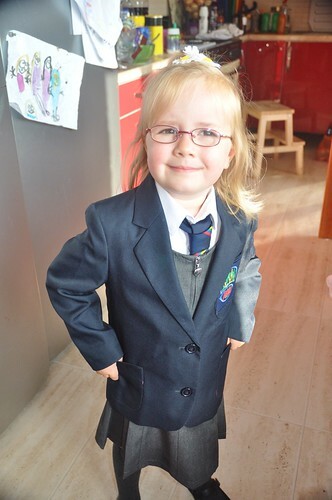 Anna's first day at school, a photo by PhylB on Flickr. While I'm ranting - the weather's put me in the mood... These uniforms might have been fine when I was small given how few women worked but these days - do I have time to iron two shirts, skirts etc every morning just so the youngest two don't look like they've been dragged through a hedge backwards? Do I hell? Even with one and two doing their own ironing, I am still losing about an hour a week - I'm thinking of sending a bill to ER council. The old sweatshirts and polos could be worn straight from the tumble drier. Do I want to be spending my life ironing before the day's work? No I DON'T! I was ranting a bit last week about the primary school's new jacket policy. It seems to me ten days in that the jacket policy is going to degenerate fairly quickly for two reasons. The first one, I had foreseen. The school only offers one winter jacket - a kind of shapeless navy anorak with the school badge on. The mums at the gate have been ranting since day one that they are unhappy to buy their daughters short jackets when the likes of Mark and Spencer are selling girls' navy winter coats in the same price range. The school jacket is short and ill-fitting, the M&S coats are stylish, longer and can be used on weekends too. So I had thought that the winter would force people to defy the new rule. However, there is another issue I'd overlooked. With six hundred kids all in the same jackets, the younger kids are already misplacing theirs. This morning two mums had put normal pink/red cagoules on their kids. They couldn't resort to their blazer because of the torrential rain but their kids had misplaced their school rain jacket last week and it hadn't turned up in lost property yet. 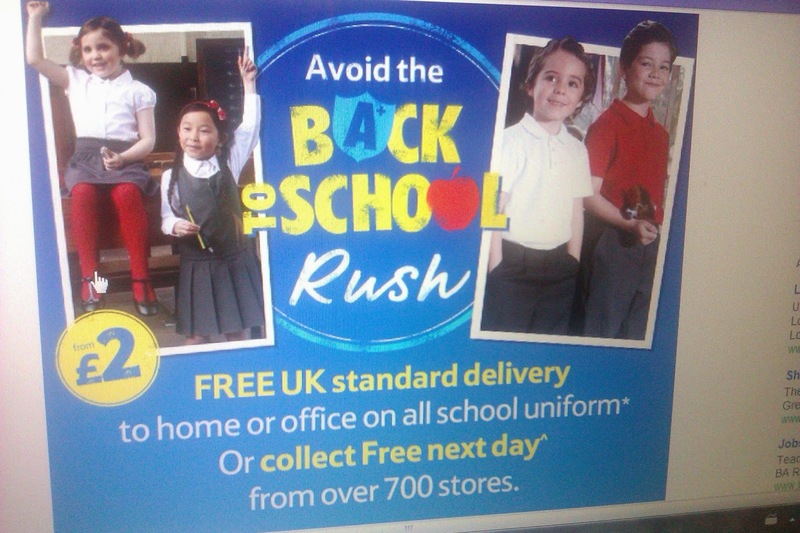 It could be, of course, that they turn up this week, but if they don't, even parents who are willing to constantly replace rain jackets have to wait two months for a new uniform order each time, thus being forced to send their kids in in a non-school cagoule every rainy day till the order is filled. Once kids have spent two months out of the prescribed jacket, the parents will see that getting them back into it is pointless. I have now decided I am not going to order the school winter jacket when I have perfectly good winter jackets in my loft. At most I may consider buying a sachet of navy dye... maybe. Amaia went missing today at around four. 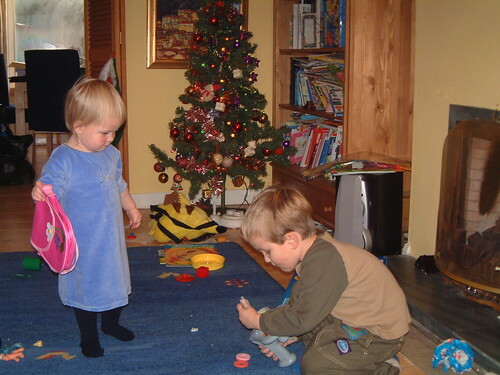 We tried the usual places - the living room, the TV room, the dining room, our bedroom, all the kids' bedrooms - nothing. We started to rush about in a panic, though we knew the doors had been closed all afternoon because of the diabolical weather. Finally Thomas looked into his office and found she had climbed onto his office chair, probably with a view to stealing a piece of chewing gum off his desk, and has fallen asleep there because it is so comfy. Wee soul! upside down, a photo by PhylB on Flickr. It's heart-breaking how clueless small kids are with wasps, especially now we're into crabbit wasp season. I watch Amaia in the garden at times and they buzz near her and she doesn't even look wary. In Italy one stung her for the first time and she deemed it a nasty bean. Bees, wasps and ants all get called beans for some reason. 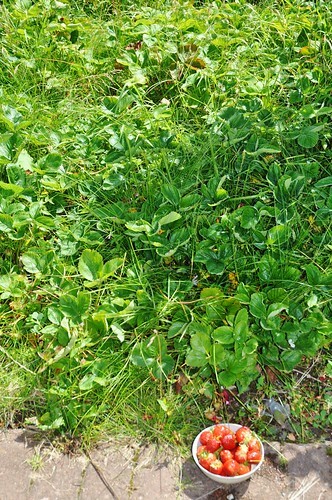 Today I decided to sort the flowerbed under my dining room window. I dragged Amaia out to help. We'd been out less than ten minutes when she started wailing I sat on a nasty bean and it stinged me! I stood her up in time to find the tell tale puncture point surrounded by a red swelling. A spoonful of piriton seemed to do the trick but there was no convincing her to continue with my gardening project, today anyway. Poor baby. I am now going to spend the rest of the summer/autumn torturing wasps in revenge now. 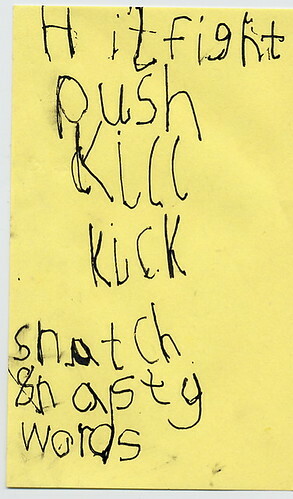 M's list of naughties - after just 5 wks school, a photo by PhylB on Flickr. I was looking through my old photos tonight for something when I came across this list. I remember it as if it was yesterday. Marcel had started school about five weeks earlier and I was trying to buy time to do some cooking. 'Write a list of things you shouldn't do to your sister while I make the dinner', I suggested. He sat for a long time, working hard and this was his final list! For the ten years my kids have attended school, I have annually bought them three jackets each: a warm winter jacket they could use in the ice and snow, a light rain jacket they could use on normal showery Scottish days and a fleece for dry days that weren't cold enough for the winter one. On average I have paid about £15 for the winter one, £5 for the rain one and £8 for the fleece. They wear them to school and they wear them on weekends. I therefore pay £28 a year for each of my kids' jackets, so was budgeting about £140 a year. Then the new school jacket policy came in last week. Of course I still have to buy the £28 of jackets I always did, because no one turns off the weather on weekends, and no child would be seen dead in his or her blazer on weekends, but I now need the three same weights of jackets for school, also per child. I can't leave out the rain jacket - you need it too often - they've already had to wear it three times and they are only back a week. I can't leave out the blazer because the school has seen fit to discontinue school fleeces so there is no lightweight alternative for dry Scottish autumn or spring days. I obviously can't leave out the winter jacket because neither the blazer, nor the rain jacket would suffice on a frosty day. So let's add it up. Blazer £26, rain jacket £11 and winter jacket (if my memory is correct, I have not bought it yet) £19. I have therefore to add an extra £56 onto my current outlay of £28 per child, in jackets alone. As I mentioned in my earlier rant about blue jumpers - that means £33 600 across the school's parent body, again five years into a recession. As for the high school, as they too have made blazers compulsory I was offered two woollen blazers by Man's World at no less than £150! I declined and opted for polyester at just (!?) £26 for my daughter's (1st year) size and £38 for my son's (4th year) size. Interestingly, given the number of white collar redundancies this recession has brought, I checked the council's clothing grant. 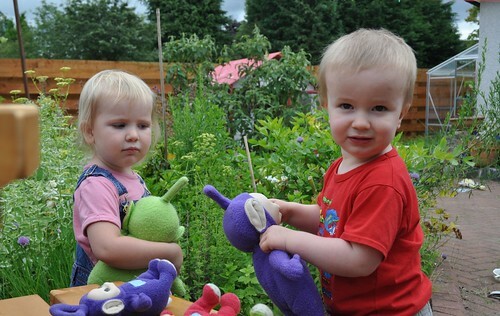 Families on incomes of up to approximately £16K qualify. I imagine in households where the main breadwinner has lost their job temporarily, people will fall into this category. 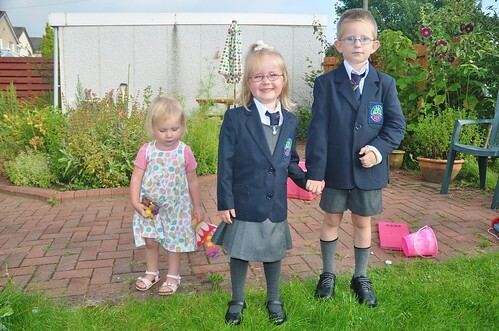 Families are given £50 per child for their annual uniform outlay. It seems that by bringing in a full new uniform and compulsory jackets at the same time, people on clothing grants will not even be able to afford the prescribed jackets, let alone the new grey jumpers, white shirts, ties and expensive tracksuits required. I think someone needs to tell the council to triple this year's clothing grant allowance! How can it be that I have so many unpaired socks left at the end of every week? 30 blue jumpers, a photo by PhylB on Flickr. 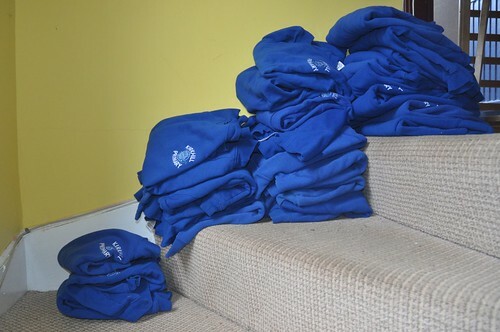 I will have one final rant about the new primary uniform before I give up... Getting down old gym clothes for Léon and Anna last week, I figured there was no point in leaving all the perfectly good and reusable, but now banned, sweatshirts in my loft. It turns out I had exactly thirty, each purchased at a cost of approximately £11. I'd love to meet the person who came up with the idea that five years into a recession was a good time to have each parent, if they have a backlog of jumpers like me, throw £330 in the bin - sorry recycling bucket. With a school roll of 600 kids, if people have on average two at the school at any one time, I guess the council and head teacher have just cost the parent body about £99K in unusable jumpers - and that's before you add the cost of buying the new (boring) grey jumpers. Given everyone needs new ones of those and there are 600 kids, five days a week at about £5 each, the total cost for just our primary is another £15K, so we're down a total of £114K on the first day. It is incredible this madness got through. Léon has a Lego set similar to this. Léon loves Lego. Amaia's fine motor skills have just reached the point where she can use the smallest Lego blocks. Today she was inserting two Vikings, one Lego Dobby and one Lego Indiana Jones into a little Lego boat, making the most of all her siblings' being at school to use all their Lego. I walked by and nonchalantly asked what she was up to 'Oh, playing with Lego Wankings' was her delicate reply! Emmm - I think I ought to give her some lessons on pronunciation tomorrow instead of playing Lego. Cousins, a photo by PhylB on Flickr. 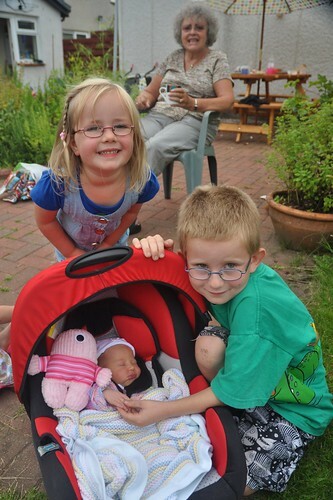 My guys have got a new wee cousin - Catriona Angela, born last Friday. Anna and Léon are looking very proud here, on their first meeting. I hope poor Catriona isn't too overwhelmed when she realizes quite how many cousins she has under one roof! 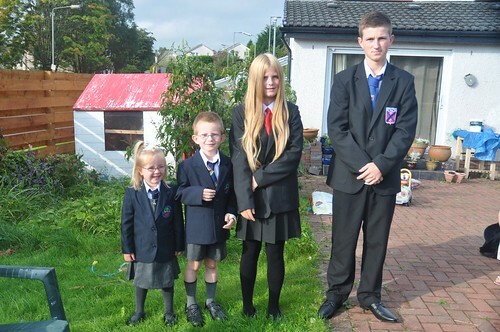 So, after a two-year consultation, East Renfrewshire's new uniform policy came into effect this morning. For Marcel that meant the optional blazer, that he'd refused to wear for three years became compulsory. Apart from that he's going to have to tuck in his shirt and maybe push his tie up 3cm, but on the whole, it wasn't too different from before. For Lots, it meant that the belt length skirts Marcel's contemporaries have been wearing for the last three years are outlawed - not that I think there would have been any chance Charlotte would have chosen a skirt shorter than the one she agreed on anyway! Coloured bras are now a no-no - again, even getting her into a white one has taken two years so that's no issue and she too is forced into the blazer, that she might not have gone for, although I suspect she might, given how well it hides her shirt and bra! I do think they look lovely in their little uniforms but on balance, I still would vote for the poloshirt and sweatshirt my others have been allowed to use. 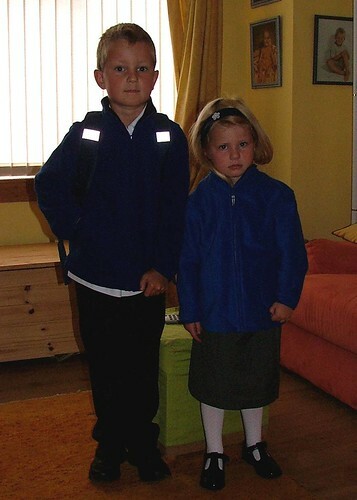 Charlotte's first day at high school, a photo by PhylB on Flickr. And at the same time, my other little girl became an even bigger girl. 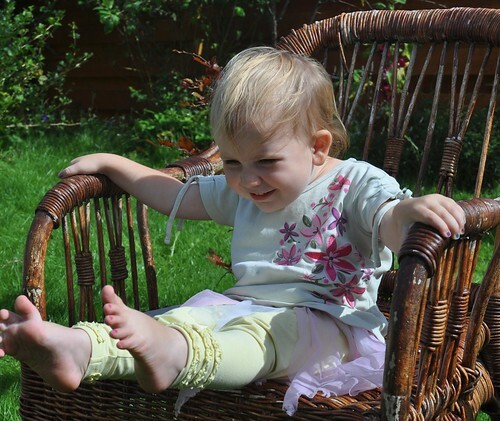 She's ready to stretch her wings and mind now and is becoming more confident and self-assured every day. 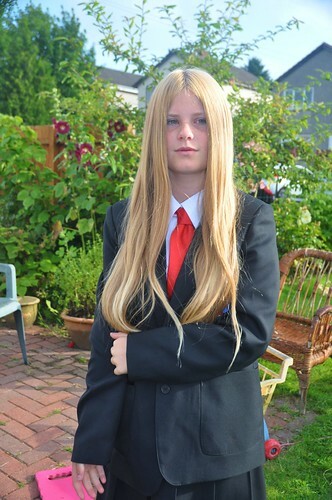 It will be a delight to see how high school turns my beautiful little girl into a lovely young woman. 1972 Phyl & Derek, a photo by PhylB on Flickr. I was drawn to this article today on the BBC as it was advertised under the title 'Does anyone still name their baby Derek?' Given I have a little brother named Derek, I thought it might be amusing. I was more than surprised upon reading it that the second name it decided was unlikely ever to be resurrected was in fact Phyllis! Given my own Derek is having a baby this Friday, it'll be fun to see what he and his wife decide to name it! Culzean, a photo by PhylB on Flickr. The dumpling was looking very dark and mysterious last week when I took my girls to Port Carrick beach. Remember these? For my first and much-loved camera when I was 7 - an old Kodak that used 126 films you had to buy flash cubes that you stuck on the top and they took just four photos, rotating as they went, before being completely burnt out. 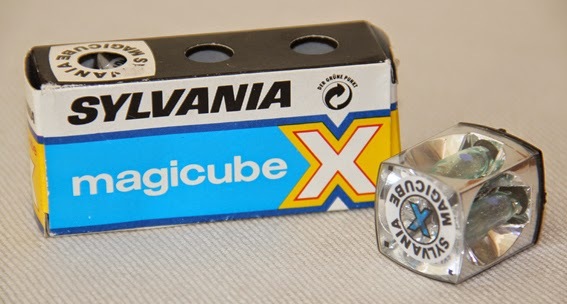 I don't think my kids would believe me today, with my DSLR slung round my neck, if I told them I actually used to ask for a box of these every year for Xmas from my granny along with a 12 exposure black and white film! My nephew has little teletubbies. Amaia loves teletubbies too. 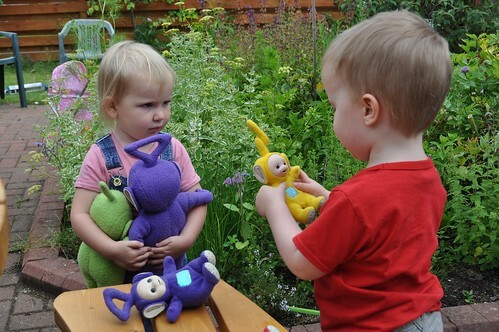 I had been on ebay looking for something else when I noticed someone was selling all four teletubbies for £2-70. Assuming they were the same as Al's, I didn't even read the ad, I just bid the £2-70 and was surprised when no one outbid me. A week later the postman rang the bell and handed me a huge package. I wasn't expecting anything large so was more than surprised. I ripped it open and all four teletubbies fell out three times the size of the ones I thought I'd bought! That's the thing with photos on ebay sometimes. But this time it was more than definitely to my advantage. Since then at least one tubby has accompanied us on every outing we've been on! Amaia is just thrilled to bits! Thank heavens for Johnson and Johnson Detangler. Neither Anna nor Amaia could leave the house in the morning without a shower or bath if it wasn't for this wonder product! It doesn't take much - a bottle lasts me approximately a year but their hair is an complete bird's nest of sweaty, matted seaweed when they get up! The visibility today up at Whitelee was great - here clear as day in the background is Arran - 60 miles away. 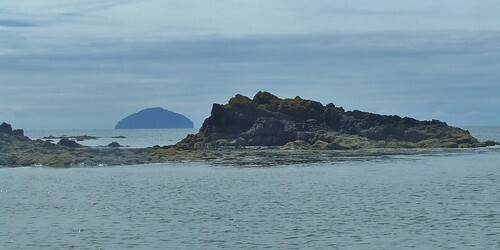 Ailsa Craig (aka the Dumpling) and the sea were also easily distinguishable. It was just a breathtakingly beautiful day for a walk up there. If only the kids had been a wee bit bigger, I could happily have walked around there all day. It was so peaceful, alone just with the whoosh of the 'windows' as Amaia calls them. I must say the sky was impressive too. I love this b&w shot I took. 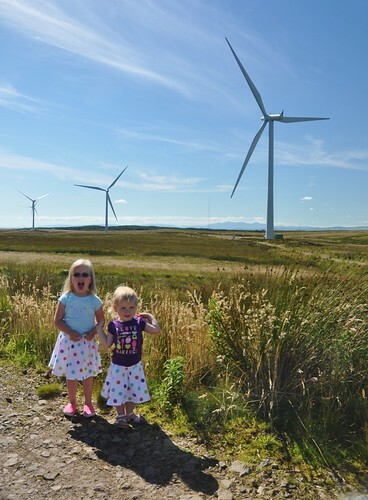 The windmills look like menacing giants after my little Amaia! It is the first time I have made it up this year. 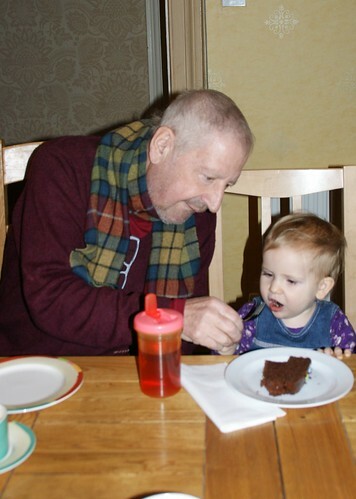 Last Xmas I took dad. I love it there and had been desperate to get him up for a photoshoot as he'd never been and was always moaning about how ugly it must be. One day we woke up to snow and he managed to come along despite his illness. And once we got home he admitted he had actually enjoyed seeing the beasts on the landscape, in spite of himself. I will treasure that trip forever. Gordy's birthday, a photo by PhylB on Flickr. I've been despairing a bit about Amaia's hair for a while now. 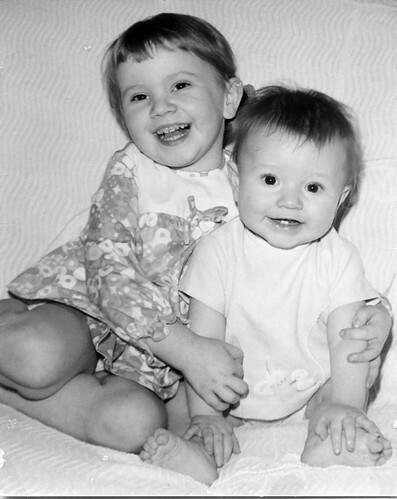 My boys had so much hair, they'd both been having it cut six-weekly since birth, and I remembered that Anna definitely used to wear hers in bunches at the same age. Amaia hasn't even needed a trim yet! 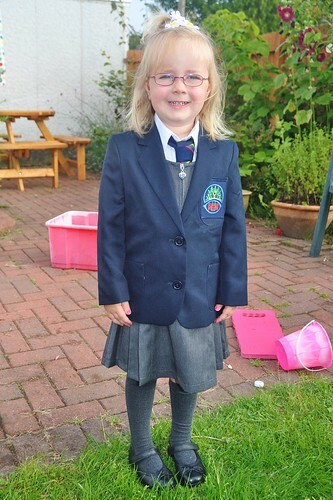 I started to contemplate having to defer her school start, not because of academic ability in two years but simply so she might grow some before p1! 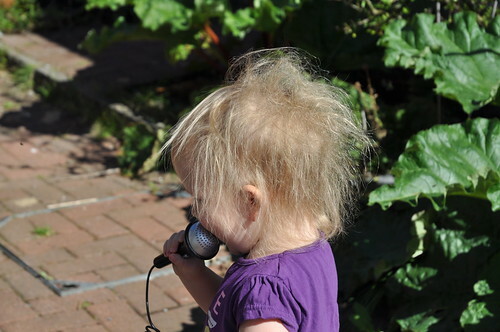 I was so sure Charlotte, who actually has the thickest hair of all my kids had had loads at two and a half too. 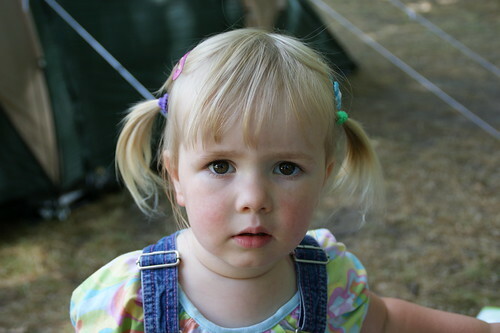 So I decided to look at my album July 2002, just to horrify me how much more hair Lots had at that age, and to my utter amazement, I found she looks more like Amaia than Anna on the hair front! I am totally gobsmacked, and hugely relieved. Suddenly I have hope for my littlest baby!